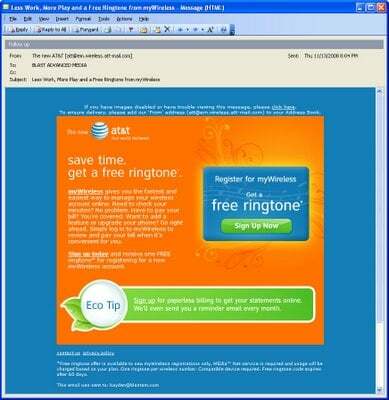 Due to the use of only images in AT&T’s email I was not aware of what their special offers were. Normally, I would have just deleted the email but I have been witness to AT&T’s blunders before so I decided to go further. Solution: Use Actual Text for the Promo Content and use background images for the visual interest so the user can instantly see the compelling content in the email without downloading the images. 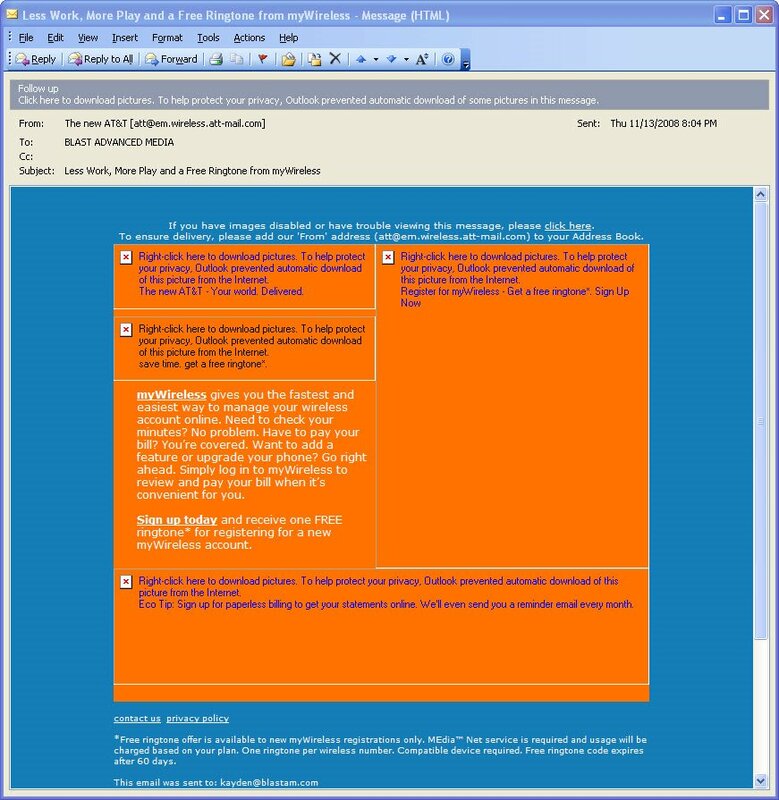 After you decide to download the images this is what the email looks like (below). The email now gets me interested in getting a free ringtone or helping to save the planet by choosing to go paperless. Cool! So I click the link for the free ringtone and this is where it gets interesting! When you click the link the landing page that comes up on the site is a plain registration page that has no visual graphics or marketing messaging from the email in the content of the page. This is a complete disconnect and leaves users wondering if they are at the right place and less likely to complete the desired action. 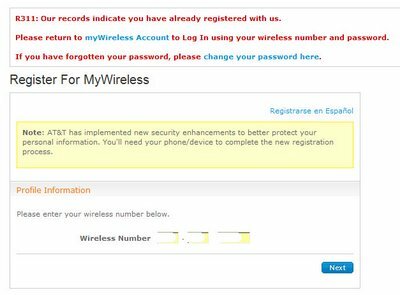 The first thing is AT&T should know I am already a registered user before they send me an offer to encourage me to register. Solution: First send me an appropriate offer. Second, when I click the offer and am already registered they should detect that and not send me to the registration screen (above) or at least provide me the option to login. 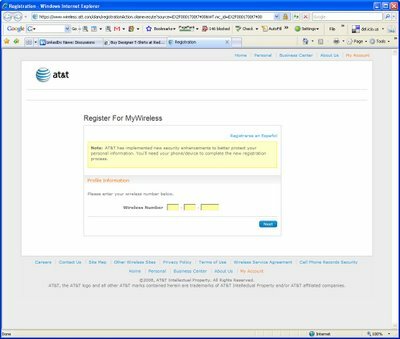 Once I do follow their path to get passed the register/login screen AT&T should send me to the offer they originally presented me in the email which they didn’t. Okay, Don’t Give Up Now! I was now on a mission to get to this offer and I tried all sorts of tactics to get around this such as making sure I was logged in before I clicked the offer. 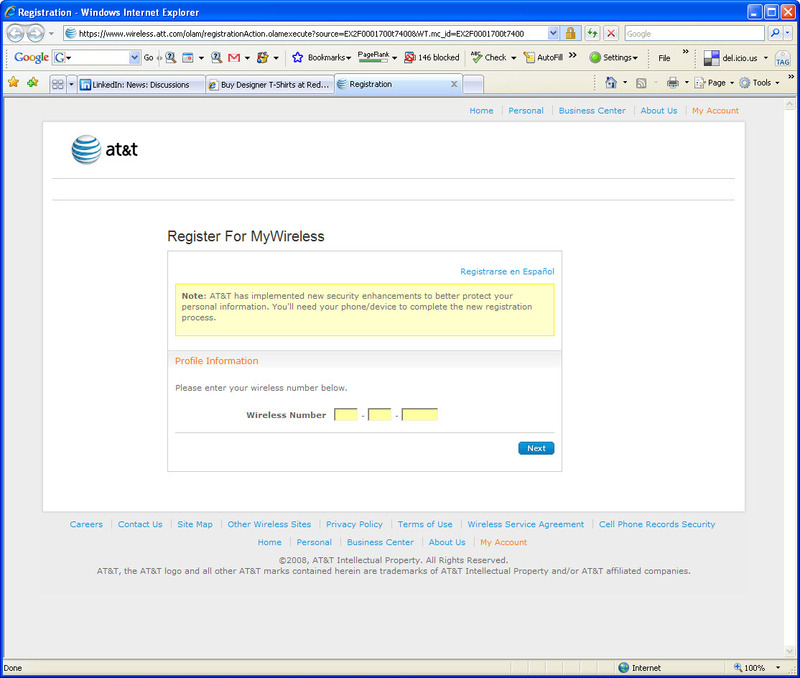 Here is a partial screen capture showing that I am in fact logged in before I got the registration message in the next step. I was stopped again, as I still got the same registration screen above. In yet another attempt, I went ahead and entered my phone number as requested on the registration screen and got this message saying that I already registered. 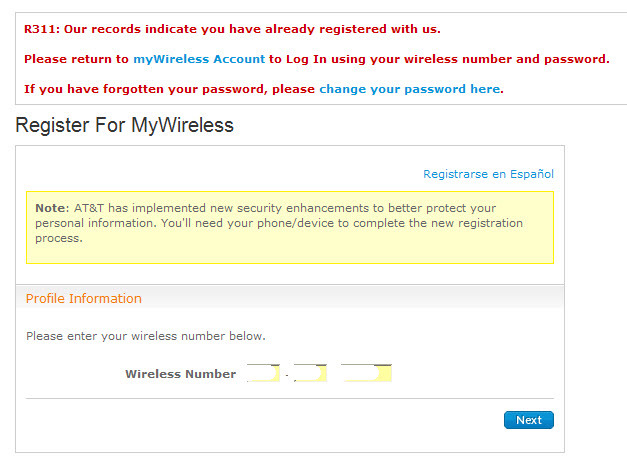 So to play along with AT&T I went ahead and clicked the ‘myWireless Account’ link and re-logged in. Yeah, I finally got passed the login/register step but I was sent me to the general account area with no information about the free ringtone or how to go paperless. Aaarrrggghhh! This is one of the worst online experiences I have had in a long time. Solution: I never should have had to go through this step as the option to login or to automatically detect that I was already logged in should have allowed me to bypass this step. However, they actually logged me out!! Then once I successfully went through AT&T’s hoops I obviously should have been sent to the offer they promised me. If anyone ever gets to the elusive offer described in the email please leave a comment on this post and let me know how your experience was. Let this be a good lesson in properly designing your emails, simply delivering what you promised to the user on the landing page, knowing your audience, and above all properly test & analyze your marketing and web site. We use free tools like Google Website Optimizer and Google Analytics to get the data of WHAT people are actually doing on your site and 4Q iPerceptions Surveys to find out the WHY of what they are doing on your website. Horay for the owner of this site! You are terrific in posting very informative articles. Keep up on rocking the internet world! God bless you! Naturally you will have knowledge of the Search Engine Marketing industry, as well as passion and drive to excel in a fast paced environment. Knowledge of Internet (online marketing) and strong Client facing skills will also be essential. Keywords: PPC , Pay Per Click , SEO , Search Engine Optimisation , SEM , Search Engine Marketing , West Midlands .